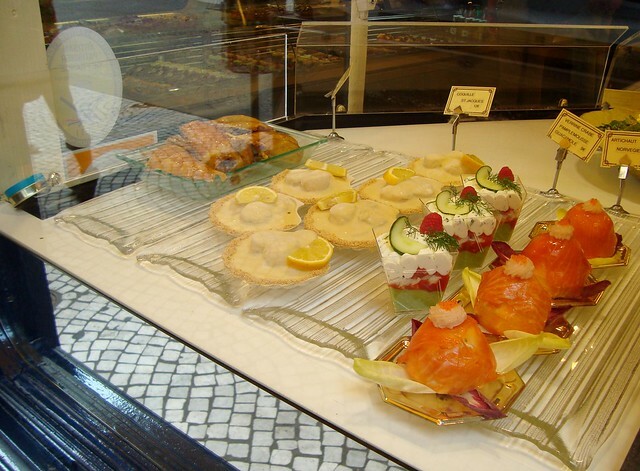 Today I'm showing you two great pâtisseries that are near my apartment. First, the legendary Stohrer, which has been around since 1725. Nicolas Stohrer was the royal pâtissier of King Louis XV. 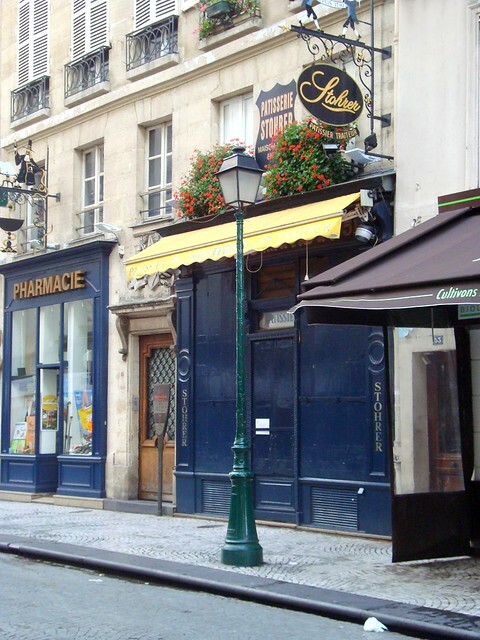 Louis XV's favorite recipes were puits d'amour and baba au rhum. 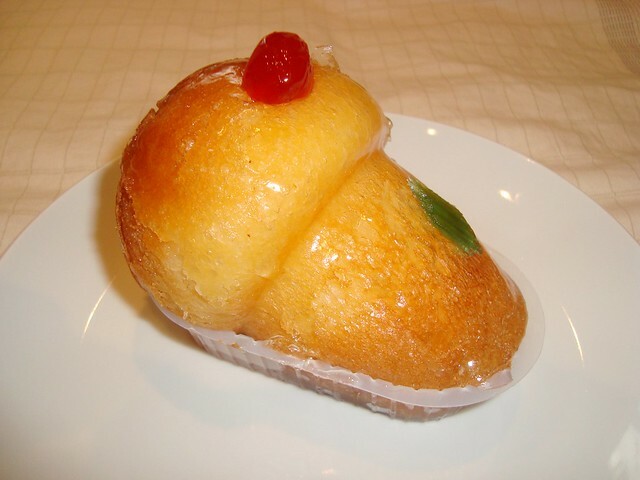 I bought myself (since I am an avid rum-lover) a baba au rhum, brioche soaked with rum. The shop was closed till August 15th. And on the 17th, people were drooling again over the window display. 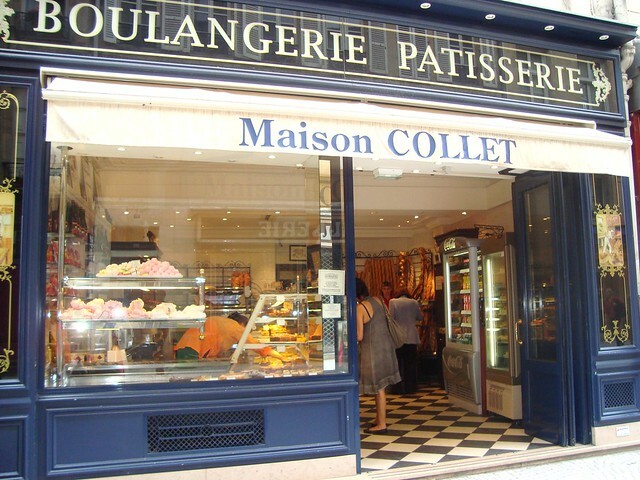 Then, my local favorite has got to be Boulangerie - Pâtisserie Maison Collet. The prices are low, food is great and the staff is very friendly. 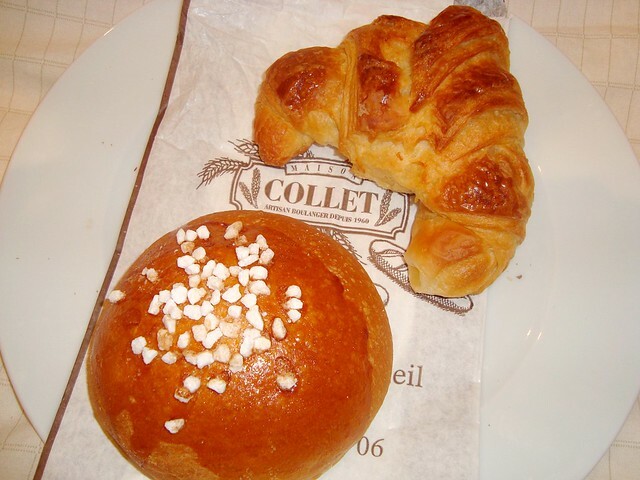 While Maison Collet's brioche au sucre is fantastic, their croissants are perfection! 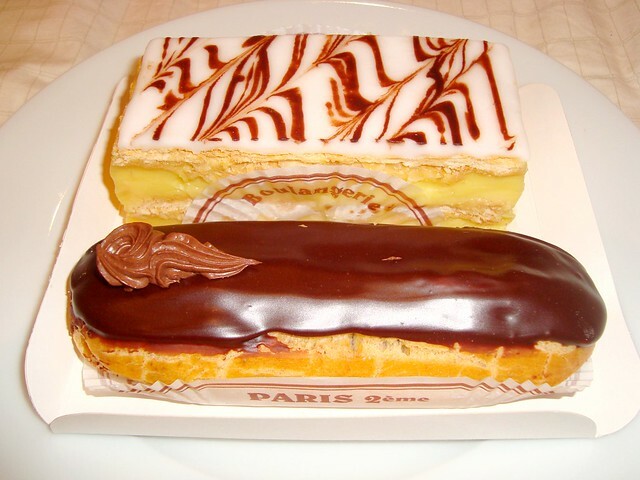 A three-layer millefeuille, and an éclair chocolat. and having such delicious pastries! What Cara said! My goodness. If I ate like that, I'm pretty sure my pant size would go up a couple notches! The food looks wonderful though! I am drooling and cannot wait to go myself! u stay in an apartment? how wonderful...these look great and the baba rum is italian you know? so tasty...could use one about now with all this stress of to travel or not to travel.....great photos!! Hi Danielle! What a beautiful blog! 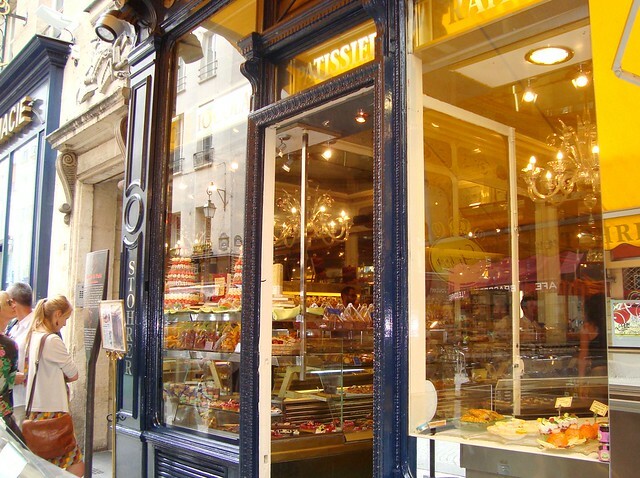 I absolutely love your posts from Paris...aside from the gorgeous baked goodies (and fabulous photos), it's so great to have some ideas of places to go next time I'm there...hopefully sooner rather than later! Cheers from Edinburgh!! Yummmm. I'm so glad I've stumbled upon your blog. 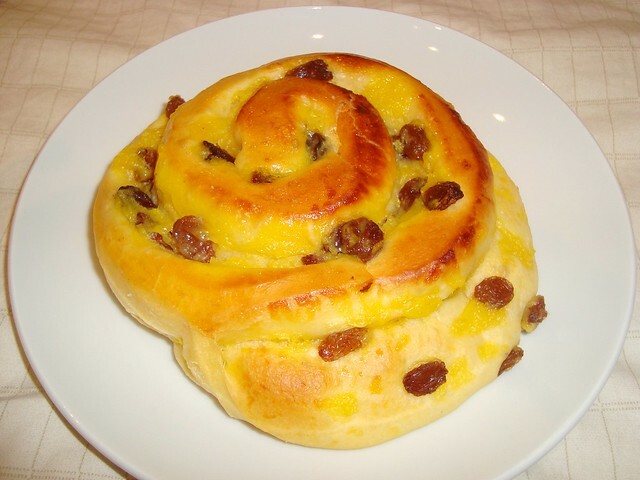 I'm new to blogging and I am enjoying looking at your photos and recipes. Thank you for sharing. I'd love to follow you and would love support from fellow bloggers as well. Follow me as well if you'd like. I can't wait to try some of these recipes.